Kim Brushes...darn cute and close to my name so I was so enamored by them. 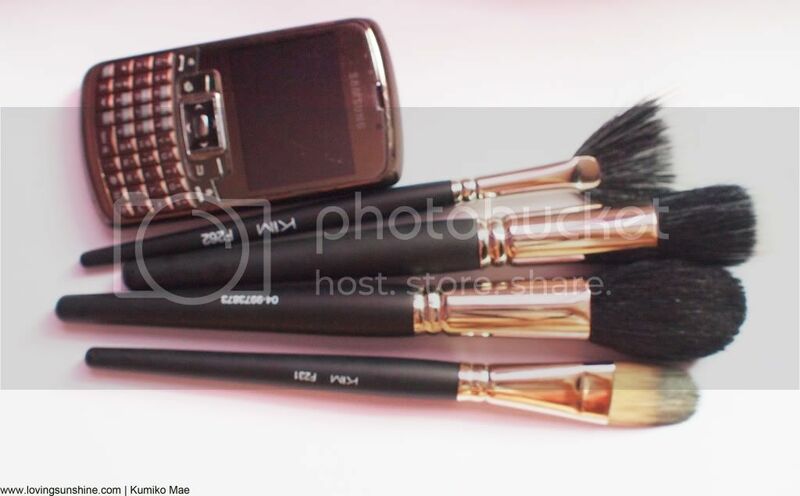 Above photo shows (from top to bottom): F263 Hair Mix/Fan brush, F231 Taklon Oval Blending brush aka . 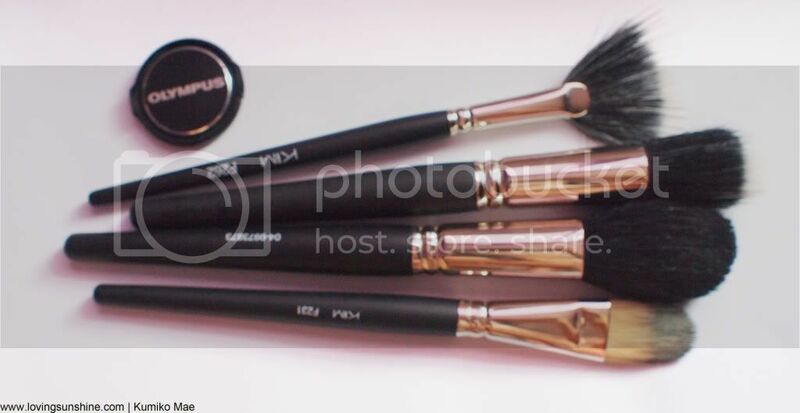 Liquid Foundation brush, E128 Soft/Oval Hair Wide Eyeshadow brush, F251 Hair/Round mix Stippling brush aka Duo-fiber brush, E144 Swuirrel/Round Blending brush, L311 Sable/Oval Lip brush, F223 Soft/Oval Hair Powder Fluff brush, E152 Taklon Blend/Flat Square Detail Eyeliner/Shadow brush and E131 Sable/Small Angular brush for Eyebrows. Kim Professional make-up brushes are manufactured by Rekad, founded in London England in 1914 that's over a 100yrs under their belt. The name Kim for the artist brush line must be lifted from Rekab's current owner, Kim Chissick, the oldest grandson of the company founder, Percy Baker. 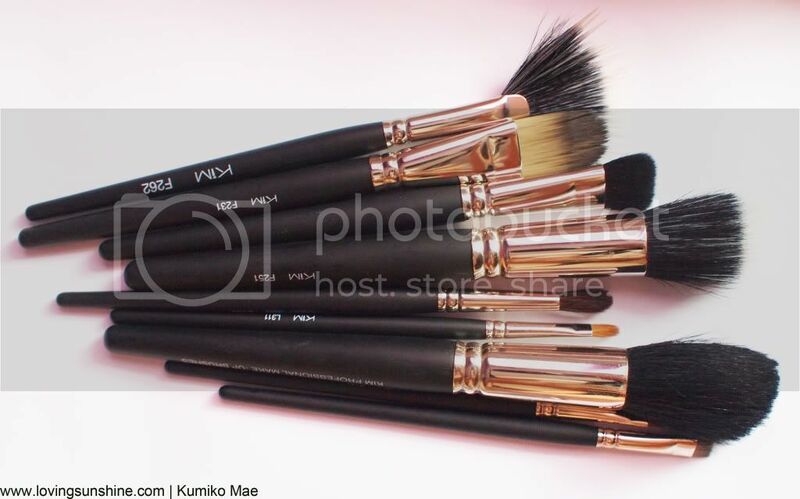 More than the history, did you know that the Kim Professional brushes were designed well by professionals. 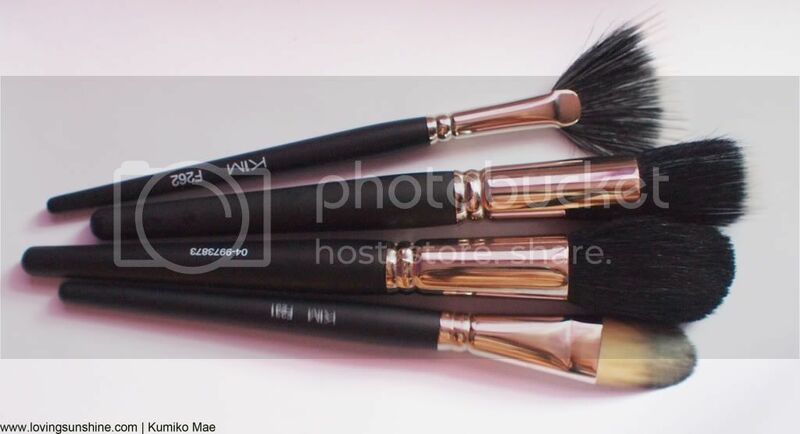 The various brush shapes were designed by professional make-up artists and more importantly, the brushes us natural tip hair because the shapes of the brushes were achieved by hand-shaping and a unique process of tying brushes rather than cutting brush hair. See, cutting brush hairs would result to a harsher brush end, thus, scratchy blend. The Kim make-up brushes are quite long! Check out how long they are beside my Samsung phone. Now check out how long they are beside my Olympus lens cap (to those who find this more relatable). 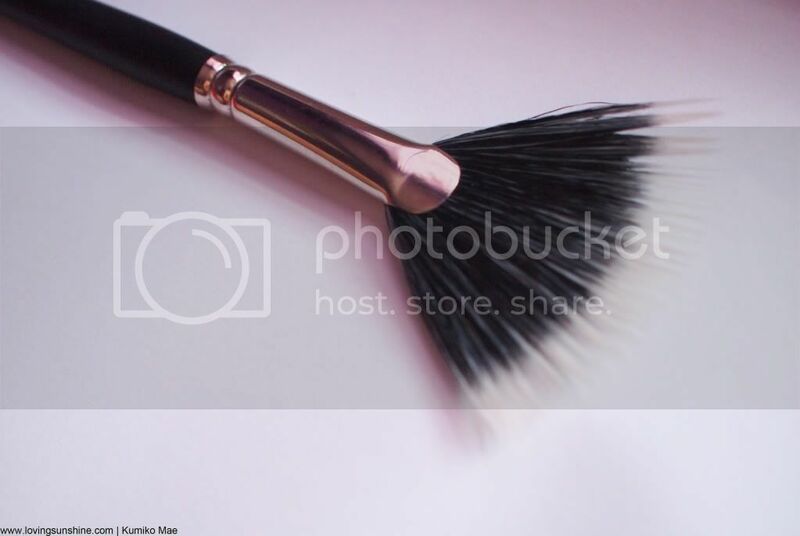 Now let's talk about the face brushes. Large Duo-Fiber Fan Brush. Most of you, especially those who love doing the smokey eye, can attest to the importance of fanning of stray powders on the cheeks/face. Now with a duo/fiber fan brush, you can do more than fanning. You can subtle-out a harsh nose contour line as well. Duo-Fiber Face Brush/Stippling Brush. I love stippling brushes. I love how Kim's Stippling brush felt so soft. It's great for those who follow a stipple and swirl technique. Check out how long it is when placed beside my Charm Pro Stippling brush! 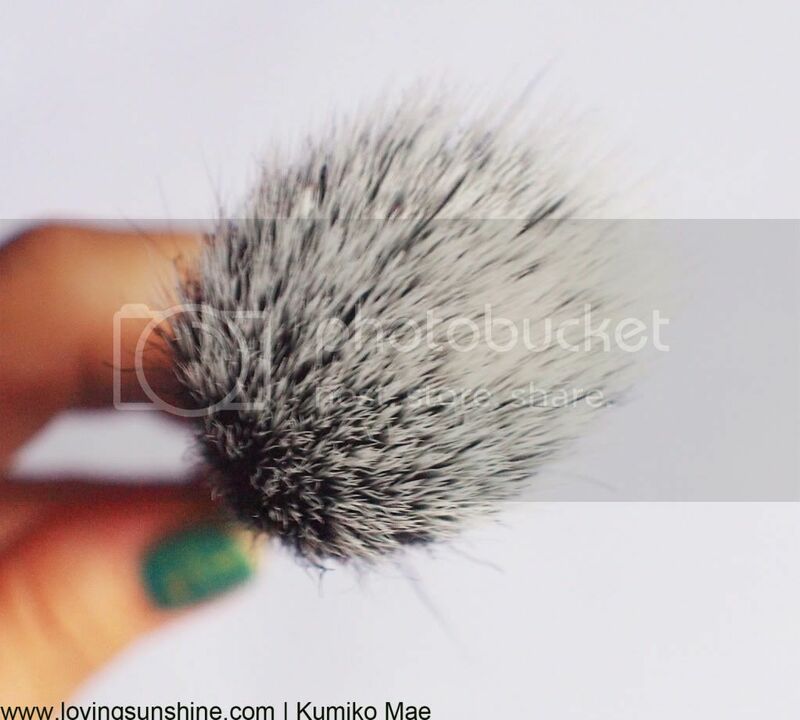 Powder Fluff brush. "While it is more time-consuming to create brushes using natural tip hair, the resulting brush captures make-up colors more precisely, resulting in an enhanced ability to control the application of the make-up products on the face," says Rekab. 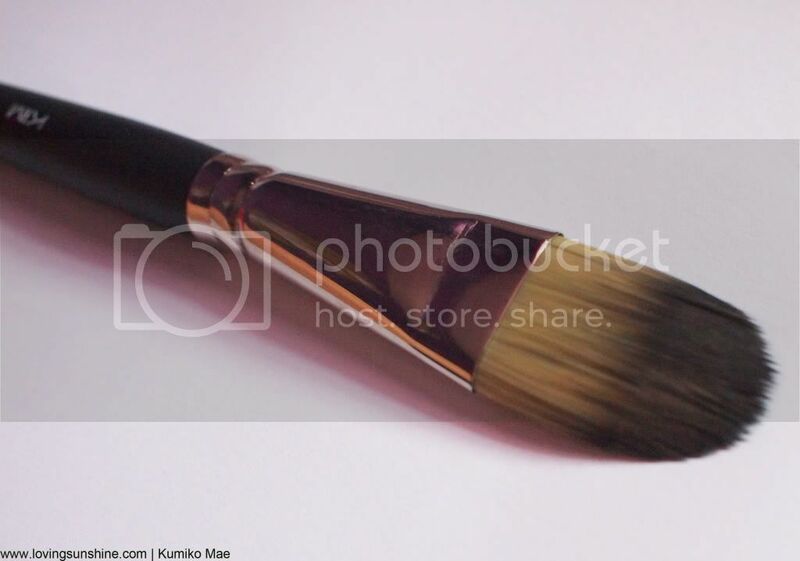 Liquid Foundation Brush. Made with taklon hair, this brush is very soft and is great to work with liquid products. I love how "muddy" tan the bristles are. This makes the brush easier to maintain against the looks of stain because to begin with... it looks stained already! :) The hair has character. 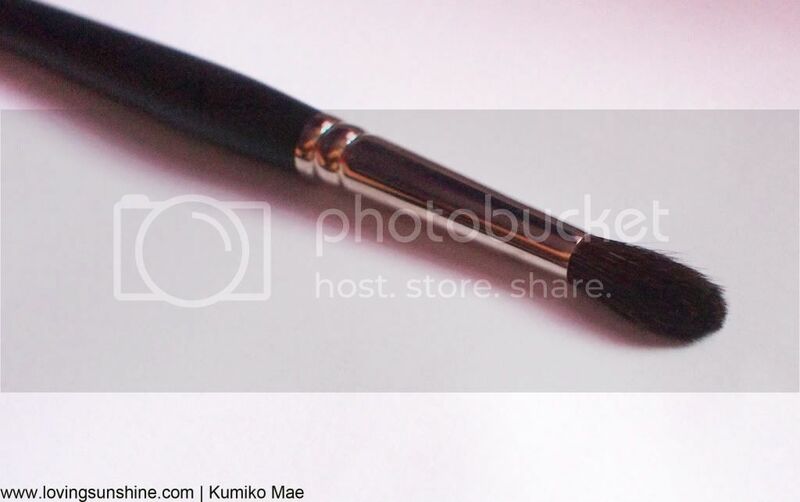 Wide C-Eyeshadow Brush. For the eye brushes, I personally love the Wide C-Eyeshadow brush which pretty much gives me a monochromatic smokey eye in a jiffy. It fits my lids perfectly! Blending Brush. This has ultimately soft hair making it comfortable to blend away products for a more perfect fit. Great for blending multiple eyeshades. Nothing very special about these three brushes so I'll just share a clearer shot. All in all, the Kim Professional make-up brushes have a timeless quality in them judging by their looks, performance and heritage. What I love about Rekab though is they're open for those who want to design their own brush line! If you're interested, you can send them a note here: info@kimbrushes.com customerservice@kimbrushes.com. So... what's next from K? as if it weren't possible... more make-up brushes. Lovely brush, i just wish that my partner will buy me one too.